As a BA(Hons) Communication and Media student I opted for the Professional Writing unit in year 2. As part of the unit I had to write a feature article relating to Bournemouth town. With a beautiful backdrop of sandstone cliffs, the sea front and beaches of Bournemouth are thought by many to be the finest in England. There is a genteel sophistication to Bournemouth that contrasts greatly with the boisterous bustle of Blackpool. Bournemouth’s popularity as a holiday destination has evolved from the Victorian era when it was fashionable to holiday by the seaside. This, however, is not the home of the “Kiss me Quick” hat. 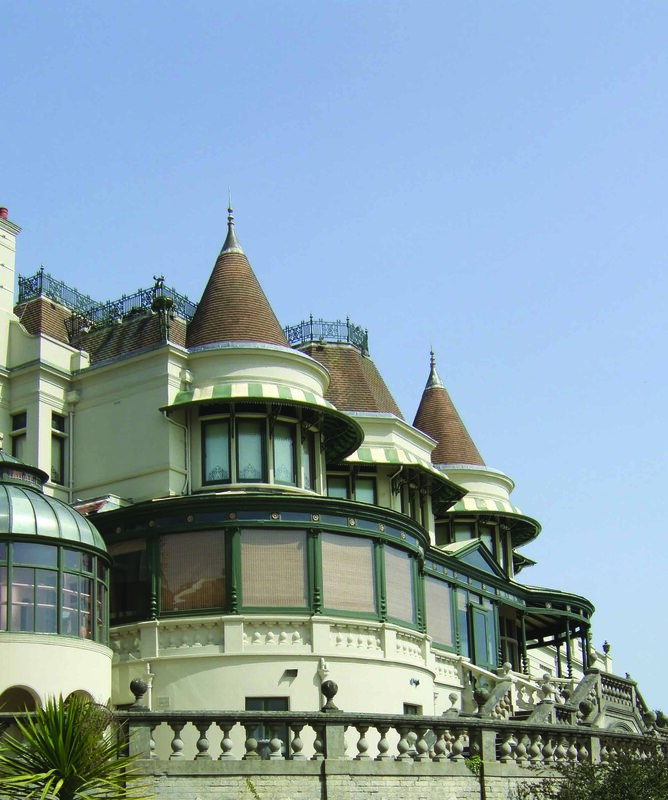 The Russell-Cotes Art Gallery and Museum, situated on top of the East Cliff overlooking Bournemouth’s pier and award-winning beaches, is one of the world’s most uniquely fascinating repositories. We approached the building from the cliff path I was struck by the outward appearance of what Guardian columnist Simon Jenkins calls the “most eccentric small museum in England”. My lack of architectural knowledge blatantly shone through as the Scottish Baronial turrets came fully into view. I compared the building to the house featured in the television show The Addams Family; I doubt I am either the first or the last to make this comparison. One of the most intriguing aspects of the Russell-Cotes, as I was about to discover, is what Dorset Magazine describes as the hotchpotch “pick-and-mix look”. The transition, by means of a modern circular staircase bypassing the children’s play area, to the high Victorian splendour of Sir Merton and Lady Annie’s showpiece dining room typifies this eclectic mixture. The Russell-Cotes is celebrated for its extensive collection of fine art, most notably the Pre-Raphaelite Dante Gabriel Rossetti’s Venus Verticordia and a large Edwin Long collection. My particular highlight was the deftly flirtatious glance of a beautiful girl known simply as The Venetian Water Carrier, a painting by Eugene de Blass whose speciality was the depiction of Venetian beauties. The photographic style clarity of this painting can only be truly appreciated in the flesh. Click here to view the feature as a 2 page spread.